It’s not funny and there is no reason to laugh! About the author: Beata Akerman is a Doctor of Philosophy, has a B.A. in social work and a degree with a specialisation in social work with people with special needs. 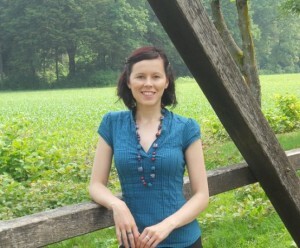 She is the author of the children’s book Izabela, a story about a princess who stuttered, which in 2010 received a Special Award of the Jury awarded by the Municipality of Schwanenstadt, Upper Austria, at its 8th International Contest for Best Children’s and Youth Book having the title “On the Wings of a Butterfly and a Swan”. Her graduate thesis entitled “Life with a Speaking Disorder through the Eyes of People Who Stutter” was awarded the Prešeren Award for Students of the Faculty for Social Work. She is a founder of the self-help group My speech – my peculiarity that offers help to people who stutter. She is employed by the Anton Trstenjak Institute of Gerontology and Inter-generational Co-existence. “Why don’t you cure yourself of stuttering? Doesn’t it bother you? It would bother me if I were in your place.”, “Go let your tongue have a good stretch!” and “You stammer? Interesting, but you look completely normal on the outside!” I could give you an almost endless list of rude comments made by people I have communicated with and their questions about my stuttering. Occasionally somebody asks me whether I am sad when I get mocked for my stammering or get other inappropriate reactions to my speech. Do they expect that I would not mind? Would this be at all possible? Is it possible not to hear someone’s laughter, to forget about their caustic remarks? Many people forget about the power of the words they say, words that for some may be forgotten in the same moment and for others locked inside them for the rest of their lives. Words influence our self-image. Words empower or encourage us. At the same time, words can destroy us and take our last hope away. I am 31 years old and I have stuttered since I was four. Since childhood I have heard many a pungent remark and experienced countless moments of ridicule and humiliation. But such inappropriate responses to my stutter are part of my everyday life. The lack of information about the problem of stuttering in Slovenian society results in the insistence of the latter on strongly rooted prejudice often expressed in discrimination that, in turn, closes many doors. However, this time I will not speak about discrimination. This article will lead the reader through my typical everyday experience. I will speak about my pleasant and less pleasant memories and about how I never give up. I never did and never will! My fleeting experience is that people with whom I communicate react to my stutter with a fixed stare which in the next moment is joined by looks, the exchange of glances among other people present, the pulling of faces, and not so rarely smiles. Non-verbal communication hurts just as much as words can hurt. When it is joined by words, the sense of being humiliated and being ashamed is unavoidable. When I communicate with some people I can feel their discomfort when they hear me stutter. Although most of them try to conceal their feelings by diverting attention, some express quite clearly that they do not want to listen to me. The following experience occurred to me in a small shop. I asked the shop assistant, who was putting new items on the shelves, for a magazine. Because my spasms were too strong, I only managed to utter the first syllable of a word, which I then repeated several times. She gazed at me, turned away and after saying “Oh, shut up, will you!” continued putting items on the shelves. Some people with whom I spoke had a good laugh about my stuttering. I’m also often mimicked and mocked. Particularly painful are those words that gave me a sense of being useless and incompetent. My academic title is Doctor of Philosophy, I am a university graduate social worker and hold a degree with a specialisation in social work with people with special needs, but for this middle-aged gentleman this was no obstacle to asking me: “Oh, my, while I’m listening to you like that, I cannot help myself asking: have you completed any schools? You probably finished elementary school, didn’t you, but that’s it. Right?”. Many people with whom I communicate, most likely believing that I will either not understand what they say or I cannot hear well, speak very loudly, use short and easily understandable sentences, and pronounce their words slowly and distinctively while accompanying them with matching gesticulation. Some time ago I had to have my teeth X-rayed. The employee at the health care centre told me that I had to take off my jewellery as well as my cardigan that had a zipper. While I was taking my jewellery off, I asked her something related to the procedure. At that time, my speech was heavily blocked. She stared at me in surprise. After a moment of silence, she nodded, speechless, in response to my question. Visibly confused, she asked out loud: “Are you…” and, instead of finishing her question with words, she made a half circle with her hand over the stomach area, which could only indicate a pregnant belly. I answered that I was not pregnant, whereupon she tapped with her fingertips on a big device, pointed at her belly, and said loudly and clearly: “Harmful!” She then instructed me, again only starting off the sentence: “And now …”, while showing the rest of it with motions. She made her hands look like they were holding on to handles, opened her mouth wide to show that I needed to bite on a special short stick protruding from the apparatus, she explicitly showed the bite, and then closed her mouth. In order to make sure that I understood the instruction, she repeated it once more. While instructing me, she nodded frequently and asked: “Yes, yes?” as if she wanted to check whether I was following. Judging by their responses, some people see me as a big, underage child. I had the following experience at a post office. I approached the counter. The clerk asked me how she can help me, and then I felt a spasm coming. I tried to say the words, but the spasms were too strong. The clerk stared at me in surprise. When the initial spasm had relaxed a little I told her, stammering, why I had come, and the clerk took the form which needed to be filled in, and continued: “Look, this is the form you need to fill in. Here, on the right, you write your name and surname, and under that your permanent address, you know, the address where you live. On the left you write data about the recipient, and you sign below. Just take your time, here’s a pen, and if you need help, come and ask me”. And in the end she asked loudly: “Will you manage?” With the form in one hand and the pen in another, overtaking other people waiting and either smiling in pity or nervously looking around the place, I left the counter and went to a desk where I could complete the form. When I had done that, I stepped into the queue again. I handed the form to the clerk who smiled at me heartily as if to a small child, and told me in a child’s voice: “You see, you could manage, couldn’t you?”. The lack of knowledge about the problem of stuttering leads people to think that something is terribly wrong with someone who stutters. Some people think that stuttering is an indicator of different diseases and psychological disturbances. Recently, I had a routine medical check-up. First, I stepped on the scales which showed my height and weight. Then the doctor measured my pressure, checked my breathing, felt my stomach, and asked me to stretch out my hands, hold my fists, and then he tested my hearing. Everything was OK. He then invited me to sit down. He asked me some questions and while answering one of them I stuttered a little. Without any further ado, he took out a large book on psychiatric diagnoses. He started to leaf through the pages and wrote down different codes. Lasting for less than five minutes, the check-up ended here. In a few days I received the diagnosis. To my great surprise, I read this: “obsessive compulsive disorder”. The next day I went to the doctor again and asked him for an explanation. He told me that he had noticed my stutter, and that the stutter indicated the presence of an obsessive compulsive disorder. I needed a long time to eventually prove him wrong. Equally frequent is the belief that stuttering is a sign of alcoholism. Some years ago it happened that I was buying a ticket on a train, and I stuttered heavily. The ticket collector watched me in silence for a while and then asked me: “Why, brat, you drunk, ay?” Among other things, my stuttering was a clear sign of me being a drug addict for one doctor who understood my stuttering and an allergic reaction I then had as indicating an abstinence crisis. I have very frequently heard remarks such as how is it possible that after so many years I have not got a grip on myself and done something to stop my stuttering. I have been told it is not difficult, all you have to do is decide to quit stuttering. The question I was once asked: “Can’t you learn to stop stuttering?” implies that someone first learns how to stutter and then all they have to do is un-learn it, and the problem is solved. How simple, and what a pity I did not know this before! There is never a short supply of those wishing to give me good advice. My ears are overflowing with useless advice on how you need to breathe, speak and open your mouth, claims about the soothing effects of herbal baths and how you should detoxify your organism. Many people try really hard to help me during spasms, but their help is far from adequate. Their attempts include them speaking instead of me, making phone calls on my behalf and/or without permission, or providing answers to questions they have just asked me. I appreciate people who understand me, rather than those who comfort and pity me, because this does not help me. There is no need to think of how to help me. Just listen to me and give me some more time so that I can complete my thoughts. I do not like when people try to guess what I want to say or when they finish my words and even sentences since they do not really know what I want to say. I had a classmate who repeatedly wanted to help me in this way, and even though I asked her to stop she did not. So one day I decided to turn the tables. When she was describing an experience of hers I started to finish her words. She angrily asked me what I was doing, and I told her: “I thought you liked it when somebody finishes your sentences for you, and that this would help you”. She replied that she found it disturbing, and I said: “Well, now you see how I feel when you finish my words”. Only then did she realise that her help was a hindrance, and since then she has stopped finishing my sentences. Over the past few years I have been visiting Slovenian schools, informing children and teachers about the problem of stuttering. When I ask children how they would help another child if they noticed that he or she stutters, they tell me they would let this child finish their words, and would help them if they wanted it and in the way in which they wanted it. They would not decide on this on their own since they do not know what would help. I will conclude with an experience which will stay in my heart forever. I remember a group of children who had asked me if someone who stutters could read the TV news. Then a boy spoke up and said: “Of course they can! The news would just take some more time. You cannot help it, you need to wait for the presenter to finish reading it”. This boy was seven years old. I appreciated that you listed a few ways in which people can be patient and wait for you to finish your comments. As a beginning speech-language pathologist, I wondered if you had any advice for us on how to counsel someone who comes in and has had a similar experience? When someone makes fun of my stuttering I always say that I stutter and why he shouldn’t make fun of PWS. If this doesn’t work, nothing will. Some people are just so rude that this only makes them laugh more. So remember, no matter how badly people treat you, never drop down to their level, just know you’re better and walk away. Thank you for sharing your story! It was very surprising to hear some of the negative ways that people have reacted to stuttering. Have you considered putting a video on Youtube about your story to educate others about stuttering? Oh, I LOVE talking and I love talking about stuttering. I truly appreciate people who want to learn more about it, so yes, I’m very open about stuttering. I am in utter shock that many of the people would talk to you the way they did. Your stories are so discouraging and I can not imagine dealing with people like that on a daily basis. You must have the patience of a saint. I could not believe that doctors, of all people, spoke to/accused you of such outrageous things. Despite the absurd rudeness you described, it must be truly rewarding working with children who seem to “get it” more than adults; who are accepting of difference. I am a graduate student studying speech-language pathology who wants to work with children who have speech-language disorders/delays/differences in the school setting. Although young children seem so accepting of difference, they can also be the most cruel to their peers, in terms of bullying. How would you recommend dealing with bullying of children who stutter. Is education, and letting peers be aware of a student’s disfluency enough? Thank you for sharing your stories, they were truly eye-opening! The best and most obvious way to stop bullying in schools is for parents to change the way they parent their children at home. Of course, this is much easier said than done. It’s also very importnat to educate children, parents and teachers about stuttering. Schools need to make sure there is enough adult supervision at school to prevent bullying. Teachers and parents must educate children about bullying behaviors. This will help all children feel safe and secure at school. Thank you so much for sharing your personal experiences. It truly is appalling to hear how much prejudice people still hold against those who stutter. I am a graduate student Speech-Language Pathology and currently taking a fluency class. I am always shocked to learn how other people can be so belittling to people who stutter. Particularly alarming was your story about being diagnosed by the doctor as have obsessive-compulsive disorder just because you had stuttered. It is wonderful that you are working with children to education them about stuttering. As a result of speaking to children, do you notice that their awareness and acceptance of stuttering has increased? Thanks again for sharing your story! Yes, as I mentioned above in on of my previous comments, there is a huge difference in children. When I leave their classroom (in a week or two) I usually get an email from their teachers saying that they can’t stop talking about it and at the end of school year they still remember me. Sometimes I get calls and emails from parents, thanking me. THANK YOU, THANK YOU, for sharing the reactions you’ve experienced. Being a SLP graduate student, I think it’s important that I can get a better understanding of PWS from their perspective. One of our assignments was to do voluntary stuttering, and to my surprise, the people I interacted were quite friendly and respectful. I was expecting more responses like what you’ve mentioned in your article. I’m glad that you’ve given so many examples of the adversity that you’ve received in your past. This will really help me add the UNDERSTANDING, along with my patience, in order to be an effective listener, and therapist. Thank you so much for sharing your personal experiences with stuttering. I cannot imagine the courage that it requires to speak out against such hurtful and ignorant opinions. I am currently a first year graduate student at Western Carolina University, and I am taking a Fluency class this semester. Reading your story has helped to open my eyes to the negative connotations and reactions from others that often accompany a fluency disorder. In class, we have discussed to some length the importance of positive attitudes and opportunities for success in fluency therapy. I read in an earlier comment that you have participated in fluency therapy to some extent, and that changing your attitude toward and outlook on your fluency disorder was one of the most important outcomes of that therapy. What suggestions would you give to me as a future SLP to be able to give this same encouragement/positive outlook to my future clients? First of all, you need to be a positive role model. The way I see it, speech therapy isn’t just about stuttering, but how to overcome your biggest fear. So you need to work on that. It’s a LONG process and it won’t be easy. Be friendly but at the same time very professional. If you are not sure about something, don’t be afraid to ask because you can’t learn everything from books. Thank you for sharing some of your personal stories and experiences during this year’s ISAD online conference. I think that sometimes, people have difficulty relating to certain experiences until they hear a specific story. It amazes me that in today’s society, people can be so ignorant and mean about something they clearly know nothing about. I sympathize for all people who stutter who have endured a lifetime of jokes, cruel comments, and looks of pity. When you said that “nonverbal communication can hurt just as much as words can,” it made me think of the bullying epidemic that is sweeping schools all over the world. Kids today are growing up in an environment where they think it’s okay to hurt others with the things they say and the looks they give. I think it’s very admirable of you to be educating children about stuttering so that they may grow up more knowledgeable on the topic. Thank you again for sharing your story. Thank you so much for sharing. These accounts of abuse and ignorance are absolutely heartbreaking. Your story is one of great importance, as it exemplifies just how unaccepting and harsh the world still behaves towards people who stutter, which is something I am sure many of us do not think about, living the privileged lives we do as people who do not stutter. Through reading essays such as yours (and others presented on this website), we are given a powerful reminder that we live such relatively easy lives in comparison to someone who stutters, and often take for granted how easy it is for many of us to speak in social situations. I would like to learn more, and take an active stance in educating others about the experience of people who stutter, but, not being a person who stutters myself, my personal accounts are rather limited. How would you suggest we who do not stutter should support the stuttering community, and help make the world a better and happier place for those who DO stutter? thank you very much for your warm words. It’s very kind of you. Are you a SLP or a student? If so, you have a lot of knowledge about stuttering and you can write articles, participate in research, you could organize a classroom debates, workshops for children etc. It’s a lot of work, but it’s totally worth it and I love doing it. You’re paper really made my day. The stories you mentioned were so heartless and ignorant. You are a strong person to be able to handle when someone treats you so rudely, like you are a small child. I admire that very much. The last story in your article about the little seven-year-old boy made me tear up a little. I am so glad that a future generation is accepting of stuttering and able to respect people who stutters. Thank you for sharing your story! I was just wondering when one is faced with such ignorant/hateful comments from society, is there a approach to prevent such negativity from others? For example, maybe a PWS can carry a note that states ” I stutter, please be patient”? Do you think that would be helpful? thank you for taking the time to read my paper. Raising awareness among the general public with the aim of changing negative attitudes about PWS into positive recognition of our skills, needs and rights, teaching people about stuttering, is one of the most important action that needs to be done all across the world, not just in Slovenia. Awesome article Dr. Akerman . Loved the way you expressed all those situations. You are a strong person and ur article made my day. Thanks a lot. Thank you for sharing your struggles and positive experiences with people who interact with PWS, provide therapy to PWS and educate the general population about the need for understanding, patience and no pity. Understanding another requires that we think from another’s perspective. Your contribution to my understanding is very much appreciated and I will carry your words with me into my future role as a therapist. Thank you for sharing. Do you think that school education would improve society’s view on stuttering. Schools are beginning to incorporate bully lessons, and I wonder if education regarding stuttering would be beneficial or put more emphasis on those who stutter? What are your thoughts. It’s extremely important to teach children about stuttering and how to react if/when we speak with a person who stutters. Don’t focus only on children. Raise awareness amongst parents, students, (future) teachers, pre school teachers, social workers, school psychologists etc. I completely agree with both of you…It is extremely important to educate society and how to react to speaking with a person who stutters. I feel that often time people are uncomfortable and dont know how to react so they try and lighten the mood or in some cases they are just arent truly aware of what stuttering really is so they try and laugh and joke about it. Raising awareness at a very young age would definitely be helpful to aide against bullying but I also agree with Beata that many other people should be informed as well. Many times when someones child starts stuttering the parent does not know how to react and they think that the child is purposely doing it or that they can control it if they try, thus putting an overload of pressure on the child. It is vital that people who stutter as well as speech language pathologists advocate to society what stuttering actually is. I believe this would have an immense impact of the self-esteem’s of future people who stutter. Thanks for sharing your story. When you talked about people treating you like a kid it made me think about when people speak louder and slower to people who speak a different language as if that would help them understand! It really is surprising the assumptions that people make about PWS. I really like what you said about needing patience, not pity – what a great message. Thank you! Thank you for sharing your experiences! I was truly shocked to read about your negative experiences and interactions with people. This really shows the need for education about stuttering. Thank you for being so open and willing to discuss such an important topic. I am a speech-language pathology graduate student and I appreciate learning about stuttering from someone who has experienced it. I know that I will always keep with me your advice to be patient and not have pity. Thank you for sharing your story. I could not agree more with you about the power of words. When I was growing up, a common phrase used by children was, “Sticks and stones may break my bones, but words will never hurt me.” This phrase (told to children by teachers and parents) was supposed to encourage children to forget or ignore people who made fun of them. I always thought this was the most ridiculous saying, of course words hurt! Unfortunately, people who are saying these hurtful words don’t realize the impact they are having on someone’s life. I am appalled at the reactions of so many people you have encountered. I would expect laughing or negative reactions from children, but not adults. Although I am saddened to hear of your experiences, I almost feel bad for those people you encountered. You are obviously a very bright, educated woman, and they are obviously very ignorant people. If I were to witness one of the situations you described, I think I would feel embarrassed for the other person, not the person who stutters. To live life with such ignorance is an unfortunate thing and I commend you for visiting schools to inform students about stuttering. Educating future generations on stuttering will hopefully limit the negative reactions people who stutter experience. Thank you very much. That means a lot to me! This is so moving! Thank you for sharing your story! I feel that stuttering is something that is not talked about very often and individuals are not exposed to it. Awareness needs to be heightened and acceptance needs to be stressed. Thank you for sharing some of your experiences! I think one of the greatest things about this conference is that I can hear your story from Slovenia, but it is so applicable to many other countries/parts of the world. I think the part of your paper that stood out the most to me was “Non-verbal communication hurts just as much as words can hurt”. As I was reading some of you stories, I couldn’t help but get angry for you that someone would treat you that way. I’m just wondering… was there ever a time that you were able to help educate those people? Did you ever get angry and let them know how ignorant they were? Yes, of course I get angry, I don’t allow other people to treat me badly. There is nothing funny about my stuttering so there is no reason to make fun of me. I let people know that. I found your post to be very insightful as I am a first-year graduate student currently enrolled in a fluency class. Although we have recently completed a pseudostuttering assignment where we stuttered in several public places, it is always beneficial to learn of the true experiences and perceptions of someone who truly stutters. As a future speech pathologist, I’m likely to have many clients who stutter and being able to understand their experiences will allow me to deliver the best treatment possible. During your presentation you state that you need understanding and patience out of those around you. Due to the fact that I do not authentically stutter, how do you recommend that myself and others gain a true understanding of what people who stutter experience? If you want to understand stuttering you need to talk with people who stutter. Don’t be afraid to ask questions. Remember, experience is always the best teacher. I am a student studying to become a speech-language pathologist. This is my first time looking through the ISAD Conference website, and all I have to say is…wow! Sharing stories and interactions is a great way to increase awareness. I read that you educate students as well as parents about stuttering. Are there specific strategies you use when you are presenting to parents? Thank you very much for reading my paper. I usually talk about my experiences and also about what they can do to raise awareness about stuttering, how to talk with children about stuttering, how to react when they or their children hear someone who stutters, how (not) to help etc. Thank you for sharing your story. You are such a strong individual and I admire you greatly. Your closing remarks (re: little boy’s response) was incredibly moving. Are there stuttering support groups or advocacy programs established in Slovenia that provide additional education to schools/teachers/the general public? Or do currently you coordinate these school visits yourself? There are some support groups for PWS, I created one of them, but as far as raising awareness at schools/faculties/libraries, organizing events, debates, workshops for kids etc. goes, I’m all alone. I sometimes work with members of Association for theory and culture of handicap and I absolutely love it. Thank you for sharing your personal story and I am sorry to hear about your negative experiences. I would like to believe that incidents like you have experienced do not happen and that people are better educated and empathetic, but I am astounded to know that it is just not the case. I am currently a second year graduate student studying speech-language pathology in the USA. I am curious if you have done much traveling to other countries and if so, have you found some countries to be better educated and/or understanding of stuttering? I would like to believe that the responses you received to your stuttering do not happen to that extent here in the US, but feel that I may be very naive in that I am not a PWS and have little to no knowledge regarding how stuttering is perceived in states other than my own. Like I said before in one of my comments, I’m afraid I can’t really answer this question. I have some experiences with people from Slovakia, because I’m half Slovak, but sadly I don’t I see the difference between people from Slovenia and Slovakia. Maybe you read comments from other people who stutter from all around the world and they said they know exactly what I’m talking about so this is not a problem only in Slovenia. Thank you for sharing your poignant story. Ignorance truly breeds misunderstanding. Over the course of your life as a PWS, have you observed an increase in awareness and knowledge on the topic of stuttering among the general population? The process can take a looooooooong time because there are quite a number of factors that are involved. Prejudices are easy to learn but it takes time to change the way you see and treat other people, in this case PWS. But yes, I see some changes, like many people say they never knew about problems PWS are dealing with, most of them didn’t even know what stuttering is. So I’m taking one step at the time and although it hasn’t been always easy, I don’t regret anything. Thank you so much for sharing your personal experiences. I truly admire your strength and patience when dealing with ignorance and misunderstanding! It is hard to hear about the negative experiences you encountered but I also think that it is something that is extremely important for clinicians to understand. As an aspiring Speech Language Pathologist, I am always trying to see things through the perspective of the individual I am trying to help. Your paper really helped me to see one of the more difficult aspects of stuttering and I thank you for teaching me! I also LOVE the work you do with children as I think that most of the teasing is a result of lack of education. If children knew how to communicate with a child who stutters, they may be less likely to tease that individual. As a graduate student in speech-language pathology, I often forget how unaware other people can be. It is shocking to hear how other people react to an individual who stutters, especially a doctor. Your story helped me understand how important stuttering awareness is. Thank you for sharing your story. First of all, thank you so much for sharing your story. Although it breaks my heart to know that you had to go through these things within your own life, you are doing the public a great service by sharing your stories to increase awareness. It is so unfair how people who stutter are sometimes perceived within the general population. As human speakers, no one likes to feel rushed, judged, unintelligent, self-conscious, nervous, or unsure of themselves. It is crazy to me when people say, “PWS are just nervous / stressed out / self-conscious” because they are not. The nerves, stress, and self-consciousness can certainly come from feeling the pressure of speaking with a stutter; however these feelings are not the reason that the individual stutters. I cannot believe some of the things that you have heard from professionals in regard to your stutter. During our graduate course in Fluency one of our assignments was to pseudostutter in public and reflect upon our experience. I was surprised with the range of responses that our classmates received from the public: some were received very well by people in the community leaving the interaction with well-wishes, and others were hung up on during phone conversations. What suggestions would you give to a future SLP to help a person who stutters increase their self-esteem or outlook on the views/prejudices they may encounter from other people? thank you very much for taking the time to read my paper. The thing that helped me most was realizing I’m not alone! For so many years I didn’t know anyone who stutters and I felt like an outsider, I felt so alone and lost. That feeling that at least someone understands me, knows what I’m going through, saved me. I used to be surrounded by very negative people, who made my life a living hell. It is extremely important to distance yourself from these people. You need to detox your life of negative people and thought and don’t feel bad about it, it’s for your own good. So once I made a peace with my past, I tried to learn everything I could about stuttering so I would understand it better. I learned how to live my life and not letting my stuttering to get in my way. My stuttering doesn’t define me. This is not who I am, it’s only my unique way of talking, it’s somethign I do, not something I am. I also made a peace with my stuttering. I used to hate it, I believed my stuttering is the reason for all my problems. But no, I was too afraid of failure, afraid of what other people will think of me. Will they make fun of me? I was afraid to step out of my comfort zone to experience new growth. Life is too short, live it, don’t just dream about it. I hope you’ll find this helpful. Musical Stuttering: Similar to Speech Stuttering? Supercharge Your Stuttering…How to live your life in a positive light expressing yourself!